Categories: Author, Books, COwboys, Life, Published Books, Reading, Romance, Uncategorized, Writing | Tags: Advertisement, Amazon, Books, Contemporary Fiction, contemporary romance, cowboy romance, Entertainment, Love, smashwords | Permalink. 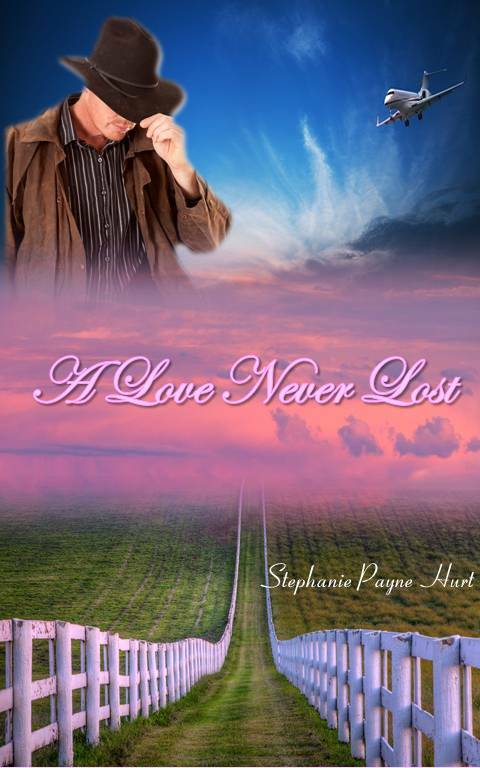 Well, “A Love Never Lost” is up on Smashwords.com and will be on Amazon this evening. Barnes & Noble will have it in about a week or so. I’m so excited and relieved. Yes, I’m over my sadness and replace that feeling with excitement and pure joy. So, if you have a chance check it out. This is my favorite out of all my books published so far and the longest. Only through God was this book possible. Have a great Friday and good writing! Categories: Author, Books, COwboys, Internet, Life, Published Books, Reading, Romance, Uncategorized, Writing | Tags: Amazon, cowboy romance, emotions, excitement, Feelings, Love, Published Books, smashwords, Suspenseful Romance, Writing | Permalink. As I give “A Love Never Lost” it’s final once over, I contemplate the decision at hand. Now what? I have about 12 novels started and they are all fighting for first place in my mind. Do I go with the historical romance that is 1/3 of the way completed, or the paranormal one that my editor is wanting yesterday, or do I go with one of the others? It’s funny how a writer’s mind works. I am going to sit down with my notebook that has all the manuscripts printed and screaming at me. As I work in my accounting office, the “Notebook” sits beside me constantly murmuring “finish me, finish me.” I know sounds like I am losing it, but as a writer, I have to listen to the voices in my head. That’s where the stories come from. So as I start this Thursday morning, I smile and sip my coffee. I slowly peruse the pages of “A Love Never Lost” and get ready to jump into one of the 12 feet first. It’s a poignant moment for me. I still feel sad, but excited that my new baby is getting ready to take it’s first step into publication. The video trailer is already on Youtube. Just look for Stephanie Hurt and check it out. I have 4 others on Youtube, so check them out. Hopefully tomorrow I will have a decision and another published novel. Have a wonderful day to all my followers and as always good writing and may God lead your words! Categories: Author, Books, Experiences, Life, Published Books, Reading, Romance, Uncategorized, Writing | Tags: About Me, Advertisement, Author, Authors, Books, Contemporary Fiction, contemporary romance, cowboy romance, cup of coffee, Entertainment, experiences, Faith, God, goodreads, Inspirational Romance, Life, Love, new books, Published Books | Permalink. Sad it’s coming to an end! Ok, fellow authors, tell me the truth, do you have withdrawals when you finish writing your book? I am having serious withdrawals which is funny because I have been pushing myself to get it finished. Funny how it works in the scheme of things. I was finishing up my last little bit of editing last night and I suddenly felt sad that the saga had come to an end. I just think I have been working too hard and too many hours on it. Maybe that’s it. I was going to take a week break from writing, but the other books in play keep poking me in the head saying, “You know you have to work on me.” So, the writing goes on. Well, that is my rant for the day! Categories: Author, Books, Experiences, Life, Published Books, Reading, Romance, Uncategorized, Writing | Tags: About Me, Advertisement, Author, Authors, Books, Contemporary Fiction, contemporary romance, cowboy romance, fiction, Romance, Writing | Permalink. Categories: Author, Books, COwboys, Experiences, Life, Published Books, Uncategorized, Writing | Permalink. Categories: Author, Books, Experiences, Published Books, Reading, Romance, Uncategorized, Writing | Permalink. Categories: Author, Books, COwboys, Life, Reading, Romance, Uncategorized, Writing | Tags: About Me, Advertisement, Author, Authors, Books, Contemporary Fiction, contemporary romance, cowboy romance, Entertainment, Good Read, Love, Published Books | Permalink.